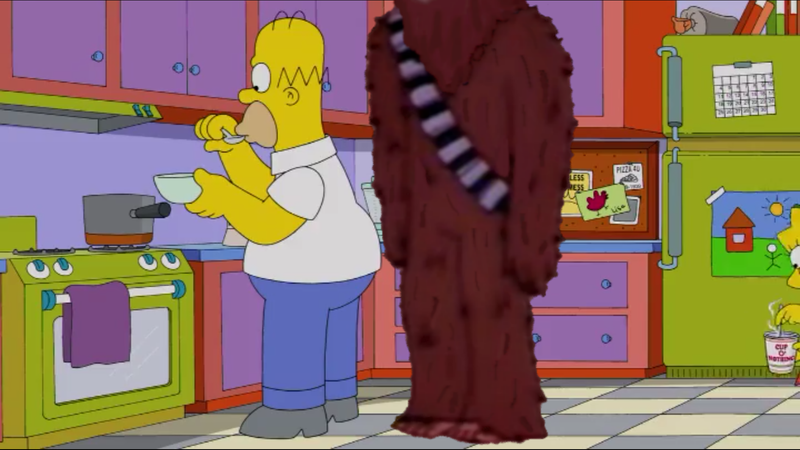 Hey hey friends… Wookiee here. Can you believe I just found Cletus in my attic setting bear traps? The nerve of some yokels. Got him to leave by threatening to rip his arms off and telling him about the tender bunny meat down below. Boy is he in for a surprise… I’m the gentle one in this house. Anywho… Level 41 is upon is and courtesy of one of our amazing readers (and a good bud of mine from TOuk), there’s something new and cool to share which does not come from the files. What is it my friends? Well, click on that continue reading button to find out. HINT: It has to do with farming but not the redneck TSTO kind. Some of you may have heard of the terms housefarming or XP farming. Opinions vary on the former but this post is actually about the second item. XP farming is a way some tappers choose to try and earn donuts by maxing out their XP bars. In the past, people would use items like weather stations, etc. to boost their XP levels. Basically, you’d place multiple weather stations in your town, collect the XP and then sell them. The hope is you’d get enough XP to max out your XP bar and get a chance for 3 free donuts. Problem is it was very time consuming and often frustrating. 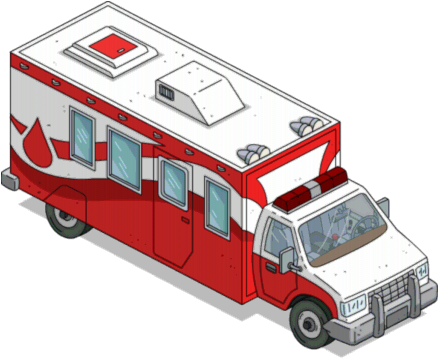 Well, with the Level 41 update, there’s a new decoration that makes this a little easier… The Bloodmobile. Costing $132,000 each, it yields quite a bit more XP than a $9500 weather station. 13,200 vs. 1,000. Instead of placing 13 stations, one mobile does the trick. Basically, it cuts down on the time it takes to earn the XP. Reader Vogst pointed this out recently and after I saw reader Alpine1M and others comment on it, I had to investigate. Jebus knows I was Burns rich in money anyways. I went ahead and bought 72 bloodmobiles which cost me $9,504,000, not even half my bankroll. Each mobile gave me 55,784 XP so 72 equaled 4,016,448 XP… quite a lot. Best part is all that XP leveled up by XP bar 7 different times… THAT’S 21 FREE DONUTS!!! Now, it is only fair to state I have spent quite a bit of money in my A town which has a very high bonus multiplier (328%). In my B town which has only 36% multiplier, each bloodmobile only gives 17,933 XP. 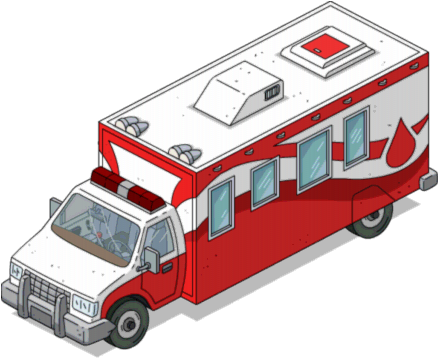 The standard XP yield for the Bloodmobile without any multiplier is 13,200 XP. What this means is you need to make sure every bonus multiplier item you have is out before you XP farm. 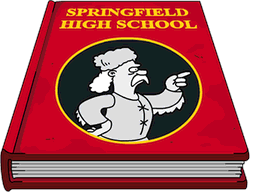 I never know why anyone stores these anyways since they increase the cash and XP earning in TSTO. Seriously, you can hide them all over your town. 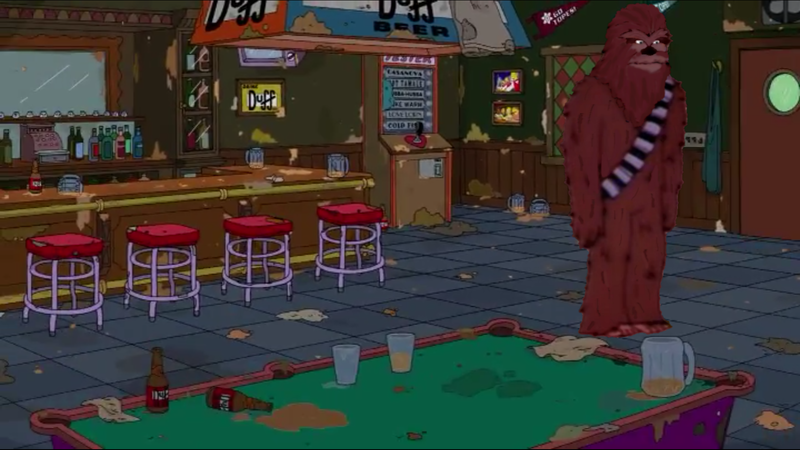 After celebrating my new premium currency, I of course knew I had no need for a veritable armada of Bloodmobiles in Wookieetown so I sold them for $33000 each. The return was $2,376,000 which makes my total game dollars spent for the whole experiment $7,128,000. Did I mention I leveled up my XP bar 7 times and earned 21 FREE donuts? Basically 3 donuts at a million cash each but it might’ve been more if I were you. How’s that you ask? Well… simple. I have been playing in my A town for a long, long time. Every time you max out your XP bar and get free donuts, the amount needed to hit the mark again goes up. Guess how many times I’ve done it since my current bar needs 1,594,159 XP total before I get the chance at 3 sprinklies again? The good news is I’m sure a lot of tappers need far less to hit their marks. My B town only needs 296,000 XP since it’s a much newer game. That’s less than only 17 mobiles in that town. The long and short is that if you have some in-game cash that’s just burning a hole in your virtual pocket, there’s a simple way you can turn that cash into potential donuts. There are a couple variables but I can actually promise this can work provided you have the in-game cash and time to do it. Not quite as good as a direct cash exchange but certainly better than nothing. Also good to note that you can also do this XP farming with the World’s Largest Zirconia. It costs $5 million and gives you 50,000 XP without any multiplier. When you sell it back, the return cash is $1,250,000. Only downside is as a unique decoration, you have to do this all one at a time. Still a big XP payout but the 38 bloodmobile price equivalent will give you ten times that in XP (over 500,000)… just saying. One last little note before I go on this. While XP farming can be lucrative, just make sure you leave yourself some money in your bank. Nothing worse than spending it all before new stuff comes out. You know the next building in Level 42 is gonna cost a mint if previous levels are any indication. My suggestion is to always leave a mil or three for the future. Well, I hope this comes as good news for some of you and something to look forward to for others. I know not everyone has a huge bankroll but I there certainly are quite a few who do. Happy tapa-tapa-tapping everybody. Keep on keeping on and stay classy. This entry was posted in Donut Farming, free donuts, Tapped Out, Tips and Tricks and tagged bloodmobile XP payout, earn donuts, easy donuts, free donuts, legal way to get donuts, The Simpsons Tapped Out, TSTO, turning XP into donuts, what to do with all that TSTO money, XP Farming. Bookmark the permalink. I have 200 mil & jut started KEM farming. I average 40 donuts every KEM build. I did this 3 times in one day for 120 donuts. Just from playing the game. I myself am sitting on just shy of $180M with a stash of nearly 2500 donuts. I’ve also been playing the game since shortly after it launched though so I’ve had time to build-up, expand out and have ALL the land squares. 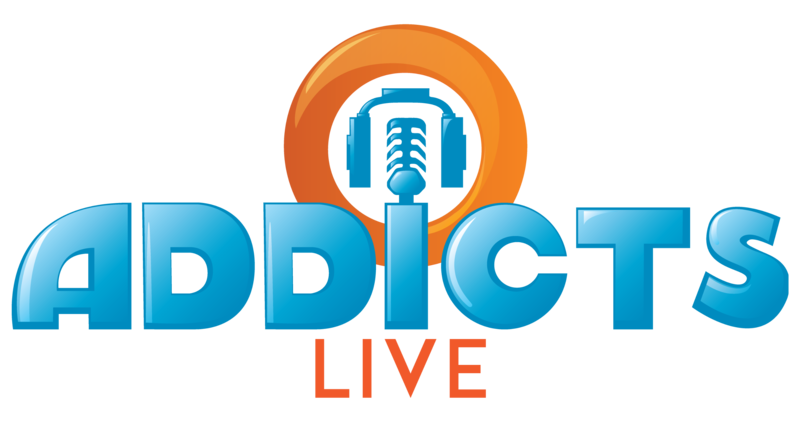 As has been discussed in other “farming” threads as well as within the current update relating to “the daily grind”, a major key to success in the game is 4-hour tasks. If you can be diligent about playing for 5-7 minutes every 3:45, you can accumulate money, set some money aside for KEM farming to reap free donuts and be ready for the next game update! Oh, and I forgot to mention – ALWAYS have the XP Collider running! Recently I’ve had issues uploading my game I haven’t been able to play for quite some time. I white house farm , for years, I’m at the top level (939) and make over $4 million a day. 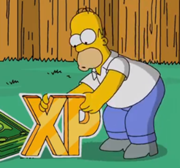 Build Kwik-E-Marts, farm the XP, then sell at a loss. Repeat. Cash builds White House and land, collect rent, build White House (if you want more daily cash) or build marts if you want donuts (via XP). Build/buy the XP accelerator as soon as able. Play the game in 4 hour increments. Good luck! Im not sure if im just reading over it but im not clear on how to know what my bonus multiplyer is. You have done such a good job writing this but im so statistic illiterate. Im having a hard time fully understanding. Please help me. OK, so I hit the end of farming. Yes, I reached level 939. It now takes 1,000,000 XP to hit the 3-donut level-up prize. My question: is farming still lucrative enough? If I fill my emtpy space with 100 rat-trap trucks/bloodmobiles, will this still earn donuts at a respectable rate? Anyone else in this predicament? I have been experimenting with this. In fact, you have not hit the end of farming, but rather the start of the most lucrative part of farming! I bought a 10 day collider window and during that time, just by collecting XP from buildings, I made around 2 donuts a day profit (so 40 donut profit at end of ten days, after discounting the 25 donut investment). That’s not amazing, but it means I can keep it on all the time. 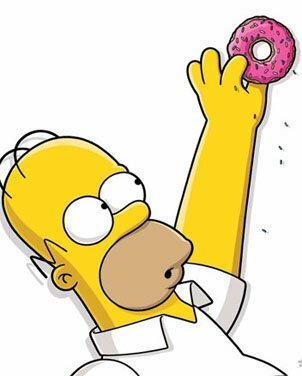 The big time is in continuing to level up: you actually get more donuts per XP point now at level 939 than before 939: 3 donuts per 1,000,000 xp vs. 1 donut per 500,000 xp. So yes, you’ll be making at least 1.5 times more donuts from farming after reaching 939. Right now, I’m back to building up my cash stock so I can horde more donuts! Is there an easy way to determine your bonus multiplier? Has anyone ever figured out the cost per XP earned for completing the build for all of the buildings and decorations that could be used to farm for doughnuts? It would appear that the KEM has one of the best (if not the best) cost per XP, but are there any buildings or decorations that have a better return on investment? I’m wondering about any of the decorations that could be used other than Rat trap delivery trucks and blood mobiles. These two decorations are great for farming, but are ultimately very expensive to buy and sell.